Jack William Miller was born June 25, 2003. At the age of two, he was riding quads at his 32-acre home in Westfield, Indiana. Beginning his racing career in karting at age of three, his love for "going fast" feeds his passion and goals to achieve the highest level of auto racing in IndyCar or Formula 1. Since the very beginning, Jack has either tested or raced at least once every month to keep well trained in kart racing as he started his climb up the motorsports ladder. With an extensive achievements bio to prove that hard work has paid off, he has won multiple events at the Regional and National level of karting, including multiple championship titles though out his career thus far. With over 300+ raced events completed in his karting career, his passion for speed growing up included snowmobiles, quads, motocross, and everything else that is powered by an engine of some sort. Starting out earlier than the legal minimum age put Jack W. Miller ahead of the game when it was time to start wheel-to-wheel competition. With already a two year lead over the new coming five to eight year olds, Jack was winning almost every race he participated in giving him the drive to reach further goals and courage to use this same training model for future classes. Practicing in classes and with equipment almost two years ahead of time again put Jack ahead of the learning curve and accelerated his growth. On the karting level, Jack has had some of the best driving coaches by his side for support; this has added a tremendous amount to his great success and race craft throughout his karting career. They include those of Scott Goodyear, Jay Howard and Alex Tagliani, all of whom are current or former IndyCar drivers with extensive karting backgrounds. Most recently, Jack has taken on some coaching from IMSA standout Stephen Simpson, IndyCar driver Gabby Chaves and former Formula One driver and current NASCAR Brazil driver Rubens Barrichello. The great thing of having different coaches is that is gives me more options to hone my own particular race craft. I have learned so much from these professional racers, and I still learn something every time they help me out. Mr. Scott Goodyear has really helped my career, he has spoken with me on the phone at races he isn't attending and texted drawing of corners to show me the right driving lines. I can't thank these friends enough. Since making my move to cars, I have had several other coaches and engineers that have provided me great knowledge and taught me how to develop my racecraft. At the age of thirteen, Jack William Miller made another jump in his career. Moving from karts to formula cars, the youngest Miller competed in his rookie season in the F4 United States Championship Powered by Honda program. Showing speed and determination, Miller progressed through his debut year learning the program, how to communicate with an engineer and the in’s and out’s of a formula car. Sticking with the same program in 2018, his team would undergo some changes and be rebranded Miller Vinatieri Motorsports as Indianapolis Colts field goal kicker Adam Vinatieri would join the ownership and management side of the program. 2019 is set to be another year of change for Jack William Miller as he now enters the Road to Indy pipeline with one goal on his mind. Determined to make it to the Indianapolis 500, the now 15-year-old will compete in the highly touted and competitive Cooper Tires USF2000 Championship Powered by Mazda. Joined by Eduardo Barrichello as his teammate, the duo is set for their 2019 program. It really helps by having a great family that supports me more than anyone realizes. My sister Jillian has sacrificed her free time to travel across the Unites States to watch me race. My mom works very hard as a dentist and helps run all of the dental practices so that I can race. My dad has put this racing path together for me. 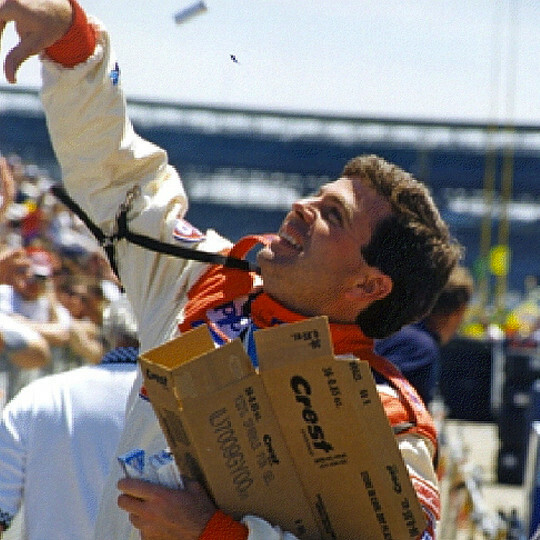 He raced IndyCars and knows what it takes to get to the top of a very competitive sport. My parents understand how to make sure the sponsors are well taken care of. They have helped me in understanding the business side of racing through the various sponsors I currently am working with. I can’t thank them for enough for all of their hard work and efforts. Starting out at the lowest level of karting, in Kid Karts, to soon move up to Sportsman and then Junior. 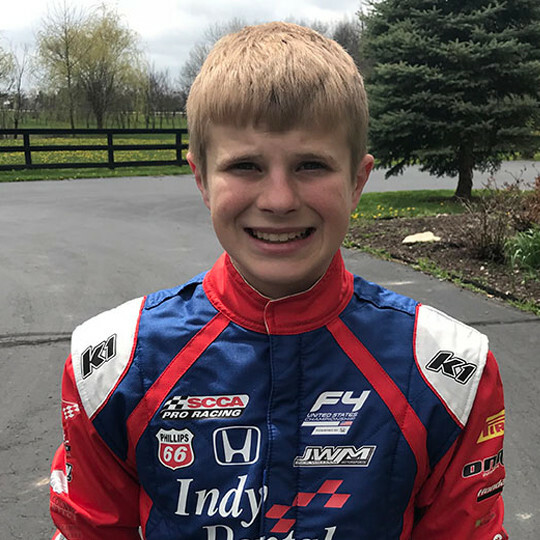 In 2017, Jack William Miller made the transition from karts to cars as he competed in the F4 United States Championship Powered by Honda. In 2019, Jack will join the Road to Indy program as he enters the Cooper Tires USF2000 Championship Powered by Mazda. With many long days, late nights, days of testing, and hard work. This is the result I have been able to achieve so early in my racing career that most kids only dream about. From local and regional level karting championships to national level titles, the climb up the motorsports ladder has only begun for Jack William Miller. Combining dental school and weekend racing, Dr. Jack officially began his long and challenging journey on the road to driving in the Indy 500. Through years of self-motivation and endless hours of work and study, Dr. Jack forced his own success. Racing is my passion and what I do best. Giving my every effort when I am in the kart and on track with my helmet on to be the fastest on track and gain the lead. Always thinking ahead of my competition, this is what puts me up front where I belong.